(CNS): The Cayman Islands chief justice has warned that the country’s sense of security won’t be regained by one arm of law enforcement criticising another. In a letter to the press addressing recent public comments criticising judicial decisions in criminal cases, the islands' top judge has said that the rhetoric about the acquittals is not only misguided but potentially harmful as it could invite a loss of confidence in the administration of justice. Although the chief justice said the majority of responses in the media have described the comments as inappropriate, the wider debate called for a response from the judiciary. 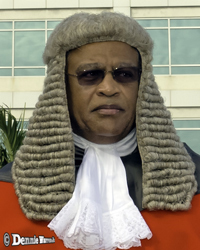 Although the chief justice does not refer directly to the police commissioner, who has publicly criticised the decision of a visiting judge to acquit Devon Anglin for the murder of 4-year-old Jeremiah Barnes, he warns of the dangers of the comments and their impact on future decisions made by the local judiciary that could lead the public to question whether those decisions only reflect the judges’ responses to the pressure of criticism. He also pointed out that judges make decisions based on the law and evidence, and while they are not infallible they are “uniquely accountable”, unlike any other arm of government, through a hierarchical process of appeal which provides an extensive check and balance. (CNS): The auditor general has set out his intention to scrutinize the public purse over the coming year with the publication of a comprehensive performance audit programme, which includes audits of how government cash is collected as well as how it is spent. Alastair Swarbrick’s team plan to audit the arrangements currently in place to determine, manage and collect government revenue and more than seven different areas of public spending. The office will be taking a closer look at how the public sector manages hospitality and travel expenses, investment in IT, human resources, executive transactions and transfer payments, as well as an examination of the government building and high school projects. Swarbrick said that as a result of the significant risks identified in recent reports about government procurement, the office will also be monitoring and reviewing procurements on an ongoing basis. He pointed to a long list of government projects and areas of expenditure that will be closely monitored and may also become the subjects of public audit if the need arises. He said his team will be taking a look back at previous audits to find out if recommendations had been acted upon. “We also plan to follow up a number of our previous performance audits to examine whether the issues identified, the recommendations made or the lessons learned have been addressed,” Swarbrick stated. These include a review of the legal aid programme, a review of the expenditures for the UK police operations Tempura and Cealt, the internal audit’s report on fuel card usage and management, and the Matrix scrap metal report. The newly published programme further reveals that the office is in the process of completing a performance audit on the management of overseas medical expenses, which is expected to be published before the end of this month. Next month the government’s top auditor also plans to publish a report on how government deals with fraud. Alongside the publication of the work the audit office plans to carry out between now and the early part of 2013, the office has also published its strategic pla,n which sets out the goals and explains the importance of the government watchdog. The auditor general points out that those responsible for public business and handling public money must be held accountable, in accordance with the law and proper standards “to those who use and pay for the services provided”, the people of the Cayman Islands. “Public resources should be safeguarded, properly accounted for and used economically, efficiently and effectively,” wrote Swarbrick. “Ministers, boards, chief officers, managers and public officials have the primary responsibility for ensuring that public business is conducted in accordance with the law and proper standards and that public money is handled with integrity and spent appropriately. He said public bodies and those responsible for conducting their affairs must discharge this accountability by establishing and maintaining proper governance arrangements and effective stewardship of the resources at their disposal. The public auditor also noted the importance of his office’s independence and the need to make the results of the audits and reviews available to the public and to democratically elected representatives. It is vital to ensure public accountability, Swarbrick said, so that all stakeholders can effectively hold government to account for its decisions and actions. He also stressed the need for his office to help government to improve its accountability, which will in turn improve governance and the provision of services to the people. (CNS): A 25 year old man has pleaded not guilty to attempted murder in connection with a stabbing which occurred on the West Bay Road this summer. Aaron Solomon was charged with attempting to kill Akim Dunbar, also 25, during an incident which occurred near the Islander Hotel following the WetFete event close to the Marriot Hotel in the early hours of 27 August. The victim received multiple serious stab wounds to the neck and body according to a police report from the time of the incident and was bleeding profusely when emergency services came to his aid. Solomon will now face trial on 16 January next year when he will also face a second count of GBH wounding with intent. Solomon who was arrested in East End on Saturday 27 August has been refused bail and was remanded in custody to Northward until his next court appearance. (CNS): The Cayman public will now have more access to one of government’s most important watchdogs with the launch of the auditor general’s new website. The comprehensive portal reveals everything from how much the staff have spent on hospitality to the office’s forthcomingaudits letting the people see not only how the office spends its own budget but how the team is keeping a close eye on how all public money is being spent. The website www.auditorgeneral.gov.ky was launched Tuesday and Alastair Swarbrick is inviting the public to an open day next month to meet him and his team. The office has also made public its strategic plan and its performance, or value-for-money, audit programme. The deputy auditor general Garnet Harrison, who has spearheaded the work on the website said there is a lot of information on it previously unavailable except through freedom of information requests. Harrison said the new site will ensure the key provisions of the FOI law will be met more efficiently and it will be an example of good practice for other public bodies to follow in the future. 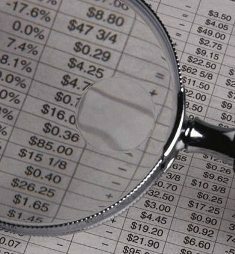 In an effort to provide useful information to other officials in the Cayman Islands Government, the website will have information about good practices for the management of the public sector as well as links to other websites that provide information that could assist public sector managers. Swarbrick also announced the recently completed Strategic Plan – Making a Difference – and the planned programme of performance audits. He said the purpose of performance audit plan is to inform all stakeholders of the reports the office plans to issue over the next 18 months and other areas it plans to watch and which may be reported on in the future. “I also hope that it will help stimulate stakeholders to contribute ideas about the areas my Office should be auditing,” he added. Public sector employees and the public are also invited to meet the Auditor General and his staff, and have a “tour” of the new website at an open house to be held on 2 November from 1.00pm to 4.00pm at the office on the third floor of Anderson Square, 64 Shedden Road. 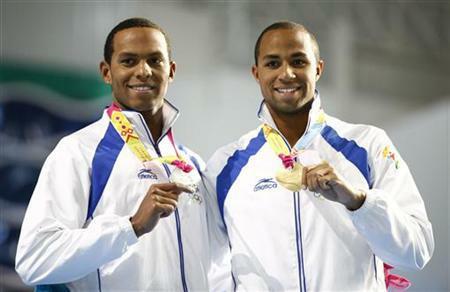 (CNS): The Cayman Islands swimming, sibling sensations had a remarkable achievement at the Pan Am Games in Mexico on Tuesday. Not only did Brett Fraser win the islands’ first ever gold medal at a Pan American Games, his brother Shaune got the silver in the same race. The brothers managed the one-two in the men's 200m freestyle final, where Brett notched up a new games record of one minute and 47.18 seconds, shortening the previous mark held by Brazilian Gustavo Borges by 1.31 seconds. His older brother Shaune came in at 1:48.29 with Paraguay's Benjamin Hockin, who timed 1:48.48 just behind him. 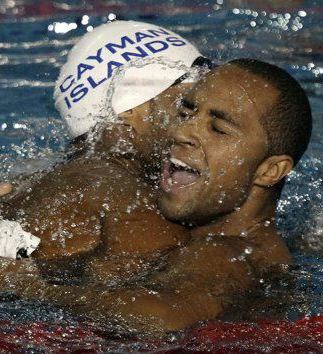 With no American swimmers on the podium, the Cayman brothers shared the glory at the medal’s ceremony, putting Cayman firmly on the top of the international swimming stage. 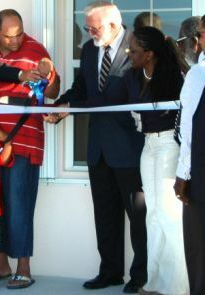 The sports minister Mark Scotland applauded the Fraser brothers for their tremendous achievement. “These two champions started their swimming career in a 25 m pool. But never did they use it as an excuse not to reach the top. They have steadily worked their way up without sacrificing their academic careers. 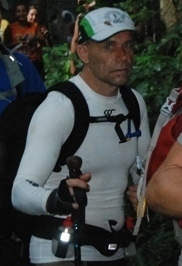 They are truly worthy examples of how hard work and dedication can pay off,” he said. (CIFA): The Cayman Islands under 20 Women’s Team opened their CFU World Cup Qualifying campaign with an impressive 4:0 win over the hosts Suriname. An excited crowd was on hand at the Essed Stadium in Paramaribo, Suriname, to witness Cayman take on the home country. The first half of game did not live up to the billing as both young teams showed signs of nerves and seemed to be overwhelmed by the occasion. The Cayman Islands were fielding a very young team — eight of Cayman's starting eleven were 18 years old or younger. Cayman managed to create a number of half chances in the first half but were unable to convert and went into the dressing room at half time 0:0. The second half saw Cayman take the ascendancy, the girls came out firing on all cylinders and opened the scoring in the 48th minute from a set play. Shanice Monteith bent in an inviting cross that was converted by Courtisha Ebanks, who managed to rise above the Suriname defenders and power home her header. Two minutes later Cayman doubled their lead with a superb 25 yard lob from Brianna Hydes, who caught the Suriname keeper off her line. Brianna’s goal seemed to push Cayman into overdrive as they came with wave after wave of attack. Suriname’s resistance was breached again in the 60th minute when Marrisa McLaughlin latched onto a cross from Jetena Bodden, who worked tirelessly all game. The rout was completed in the 75th minute when Shanice Monteith manufactured a goal out of nothing; Cayman Captain Jessica Ebanks found Monteith in space on the half way line, who then ran 45 yards with the ball before calmly slotting home Cayman’s fourth. 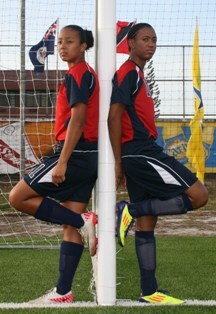 Cayman Islands Women’s Under 20 Squad: Emily Kelly, Brittany Bodden, Giselle Johnson, Brianna Hydes, Marissa McLaughlin, Jessica Ebanks, Courtisha Ebanks, Shanice Monteith, Jetena Bodden, Brittany Mobley, Brittni Ebanks, Kimberly Rivers, Chelsea Greene, Somali Hall, Kaela Ebanks, Tacita Berry, Shanelle Frederick, Chelsea Brown, Janel Ebanks, Neesah Godet. 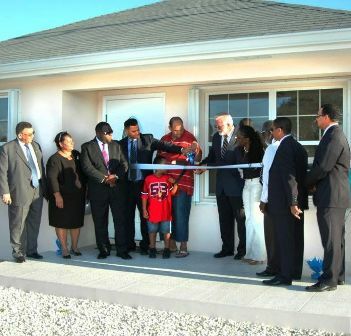 Since then CNS has received no further comment from theminister or any government officials in the community affairs ministry, which deals with the government company.